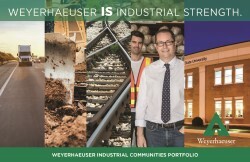 Hawthorne Industry Park features the best utility providers to support the commitment to a business’ success. 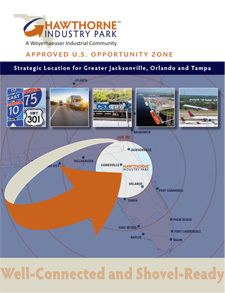 At Hawthorne Industry Park, companies have access to efficient, quality utilities for high performance. 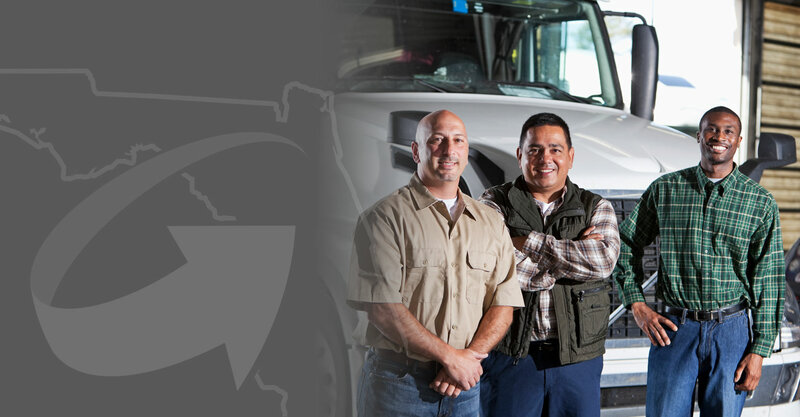 Our utility providers deliver the resources your business deserves. The City of Hawthorne is the provider for water services with rates among the lowest in the region. The existing water supply system is adjacent to Hawthorne Industry Park, with available capacity to provide approximately 144,000 gallons per day. The City continues to upgrade its water system to provide 600,000 gallons per day to the Park. 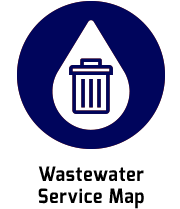 Sewer services are provided by the City of Hawthorne through its sanitary sewer collection system. 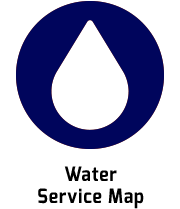 The current available system capacity is approximately 140,000 gallons per day. 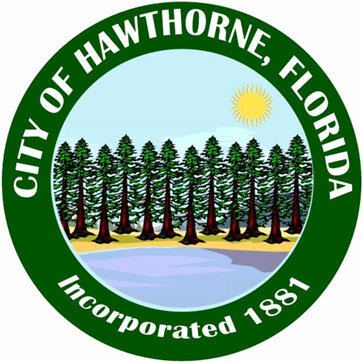 The City continues to upgrade its wastewater system to accommodate a minimum of 400,000 gallons per day to Hawthorne Industry Park. Electric service is provided by Clay Electric Cooperative, with rates among the lowest in the state of Florida. Clay Electric’s reliability is ranked “excellent” by the Average Service Availability Index of 99.95%. Distribution level services are currently at the property border (three-phase 12.5 kV) and surround the Park for redundant service. Two substations are conveniently close to Hawthorne Industry Park. The Hawthorne substation is within two miles of the Park and is served by a 115kV transmission line offering a capacity of 6.6MW. The Phifer substation is within six miles of the Park and is the three-phase distribution tie into the Hawthorne substation. Future upgrades to the substations will convert the existing three-phase system to 25kV, increasing the capacity to 12MW. Transmission line services, provided by Duke Energy and Florida Power & Light, are also in the greater Hawthorne area. Natural gas services are provided by GRU Natural Gas. The existing gas line connection point is located approximately 4.5 miles to the east of Hawthorne Industry Park. The City of Hawthorne is working with GRU Natural Gas to bring the natural gas service line (six-inch line) to the Park. It will be able to accommodate 25,000 mcf/month. The Florida natural gas market is deregulated. 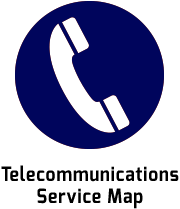 Fiber-optics and telecommunications services are provided by GRUCom℠. 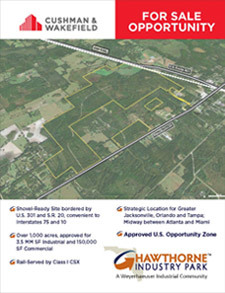 Current fiber-optic service exists within the City of Hawthorne, located at the south boundary of Hawthorne Industry Park. GRUCom℠ provides high-capacity, high-speed Internet services, Metro Ethernet and Private Line TDM/SONET platforms.